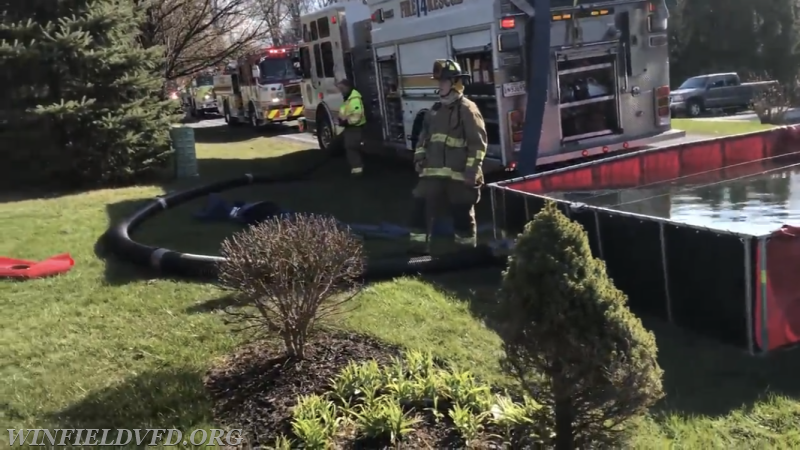 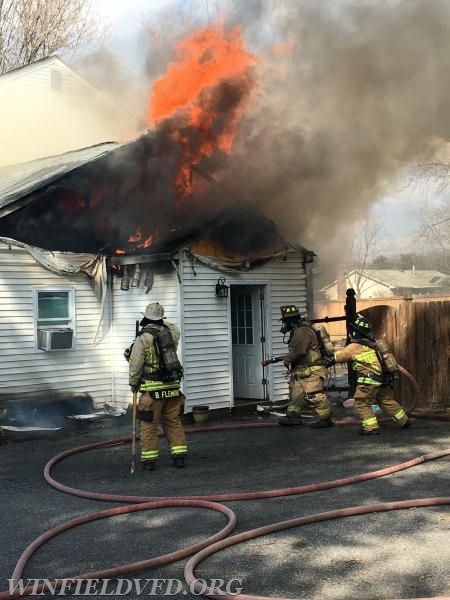 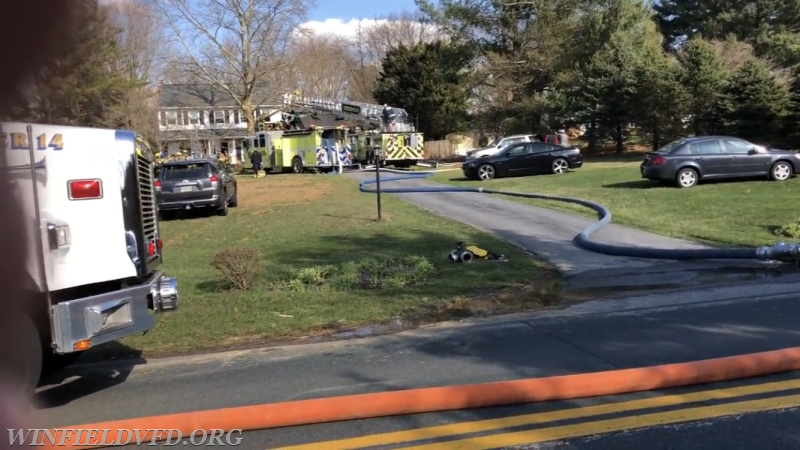 On Sunday afternoon April 8th at 4:12pm units from Sykesville and surrounding fire departments were alerted for a reported house fire in the 6500 Block of White Rock Road. 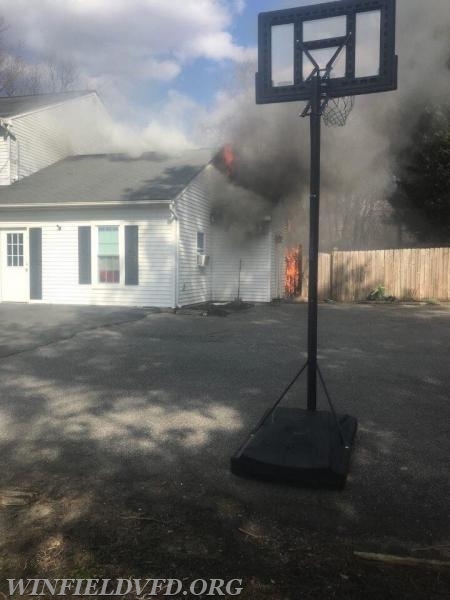 A large column of smoke could be seen for several miles. 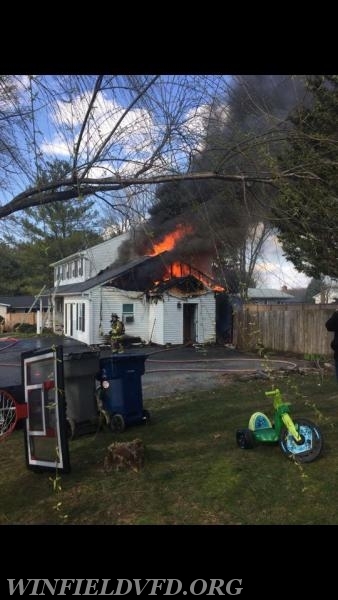 First arriving crews encountered heavy fire conditions from the lower roof line of a two-story single family house and requested the Rapid Intervention Dispatch. 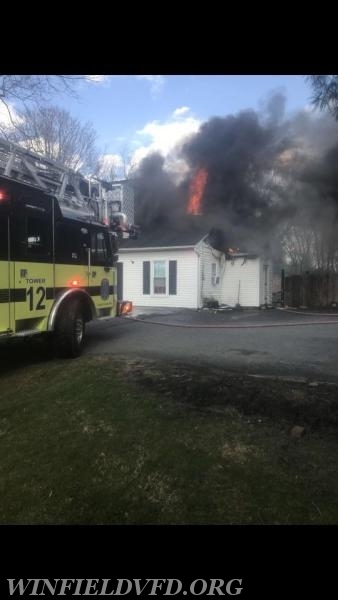 Chief 12-1 (Dennis) assumed command and crews worked to knock down the fire from the exterior before transitioning to an interior attack stopping the fire before extending further into the house. 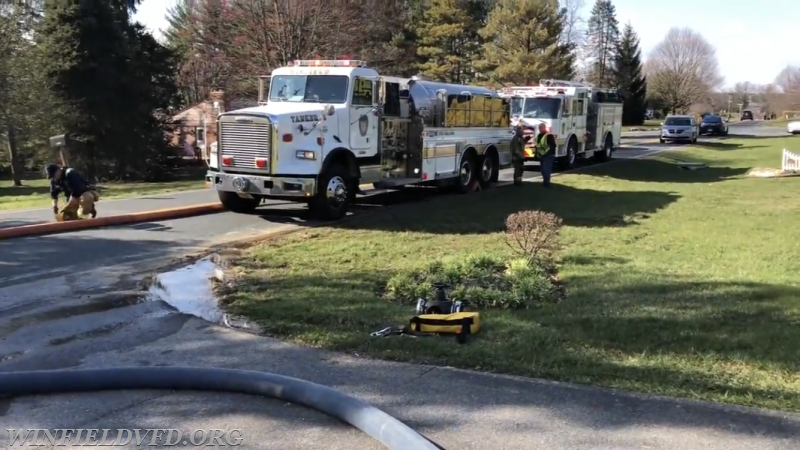 Crews from Engine 141 & Engine 142 assisted Sykesville units with fire attack and overhaul. 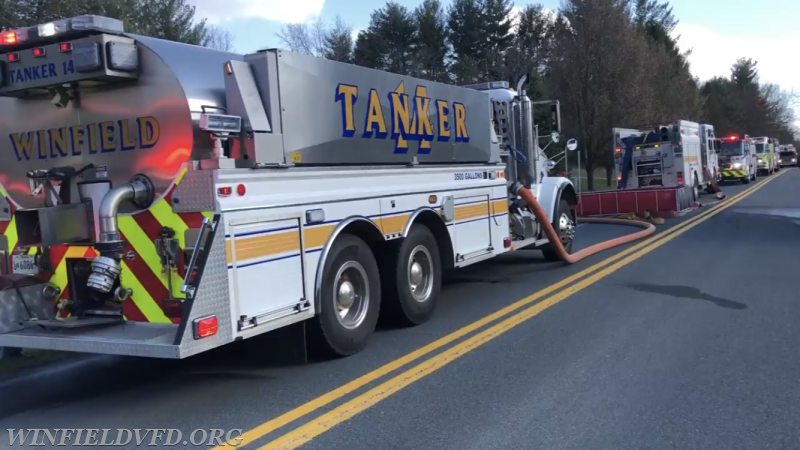 Chief 14-2 (Davis) supervised water supply operations which first started as a nurse tanker operation utilizing Tanker 14 but then transitioned to a folding tank operation supported by Engine 142 with a tanker shuttle hauling additional loads of water to the scene. 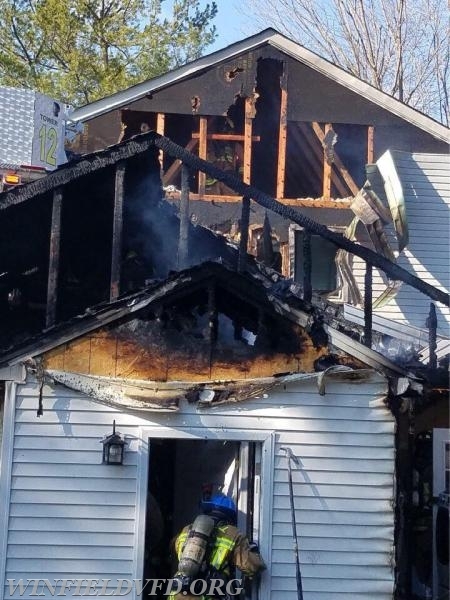 The fire is being investigated by the Office of the State Fire Marshal.